Château Nénin has been part of the Domaines Delon group [that also runs Château Léoville-Las-Cases] since 1997. This is a comparatively large Pomerol estate that has benefitted considerably from their expertise, investment and management. 32 hectares are planted on diverse range of soils. 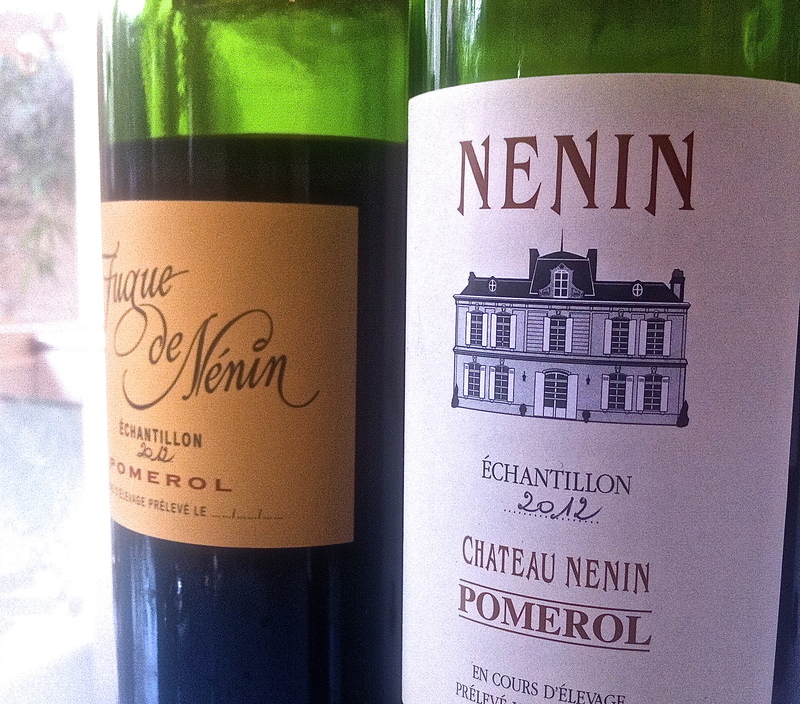 Formerly the wines were solid, if unexciting, but recent vintages of Château Nénin have been very impressive. I reckon their 2012 is one of the best yet from this property. Fugue de Nénin is the second wine here. Vineyards: 32 hectares planted with 78% Merlot, 21% Cabernet Franc and 1% Cabernet Sauvignon on Oligocene deposits covered by Dordogne alluvial gravel formations. Winemaking: 100% manual harvest followed by maturation in 15-18 months French oak, around a quarter to a third new oak, depending on the vintage. 2010 Deep and saturated look; vibrant plum and menthol notes; some jam; opens up further with aeration; wonderfully spicy plum tones and considerable concentration; plush palate; very complete; nicely ripe and some structure too but this is excellent Nénin. Great effort from the Delon team. Drink 2015-2030. 94+ MW Institute Nov ’14 [Earlier note] Deep and saturated; up to edge; ripe and rich; lots of fruit and density. Less flamboyant than the other Pomerols, feels serious and dense. Lacks a bit of vigour and joie de vivre? 88-90/100 [82% Merlot, 18% Cabernet Franc, 13.9 alc and IPT 80] Tasted 7 April 2011 at Chateau Leoville Las Cases. 2008 Deep looking; firmer nose; less showy and exotic [something of a relief]; more purity of fruit [the Delon guys]; firm palate, grippy with chew and extract. 89+ MW Institute Nov 2012. 2007 Deep and dense, tight to the edge; deep and plummy, earthy with tar and tobacco; attractive soft and easy palate; almost sweet entry; dense and a bit chunky but nicely done. 89+/100 MW Institute Nov ’11.